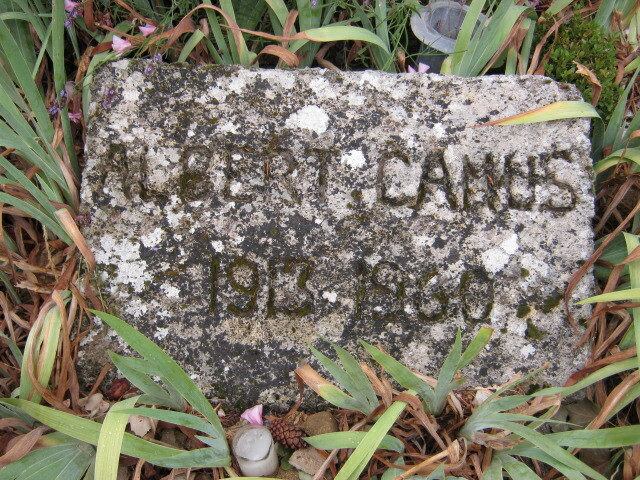 A recent trip to the Luberon included a stop in Lourmarin, a charming town to stroll, shop, and café hop, not to mention the final resting place for the French philosopher, Albert Camus. Strolling through the town, I witnessed le football fever for “Les Bleus” before a World Cup match, saw many amusing store front novelties, including an American song lyric sung by Jimmy Hendrix, and passed lovely fountains….all in a picturesque backdrop in the heart of Provence. This entry was posted in Provence, Travel adventures and tagged degustation, Lourmarin, Luberon, provence, shopping, Travel and Tourism, wine. Beautiful photos … Enchanted by “Excuse me while I kiss the sky.” I’ve never heard it before … Maybe I’ll go back and discover Jimi Hendrix! Lyrics from the song, “Purple Haze” – classic! 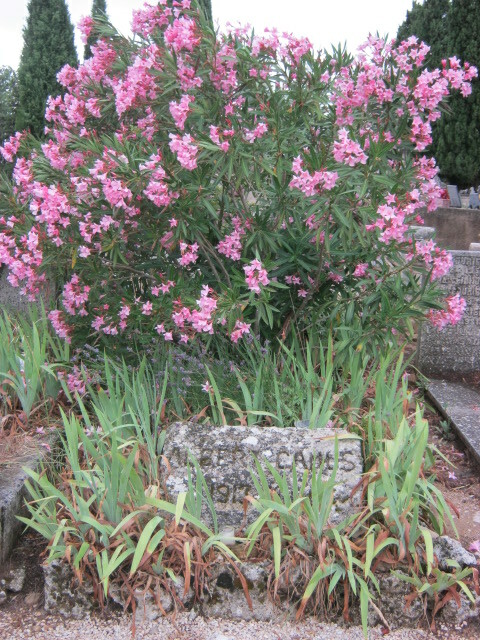 Very moved by the grave of Camus, so modest for such a brilliant man. I like the lion’s head fountain spout too. Thanks – interestingly, a request to have Camus displaced into the (less modest) Pantheon in Paris was turned down by his son. Well, he deserves to be in the Pantheon, but perhaps his son is satisfied with his place in the literary pantheon. I hope I can visit Lourmarin some day to pay my respects. I hope so, too – the Luberon is a really nice area to visit. Bon dimanche! You’re welcome, Karina – hope you enjoy it whenever you go! Thanks – yes, Menerbes and Peter Mayle are famous and iconically “Provence”!